This suede brush is used to clean suede. 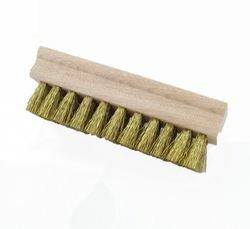 It has brass bristles to brings up the nap and lift out any dirt or dust. This would not be used on nubuck, we recommend a nylon brush for nubuck. Cleaning the suede with a brush will make the suede look good and last longer.